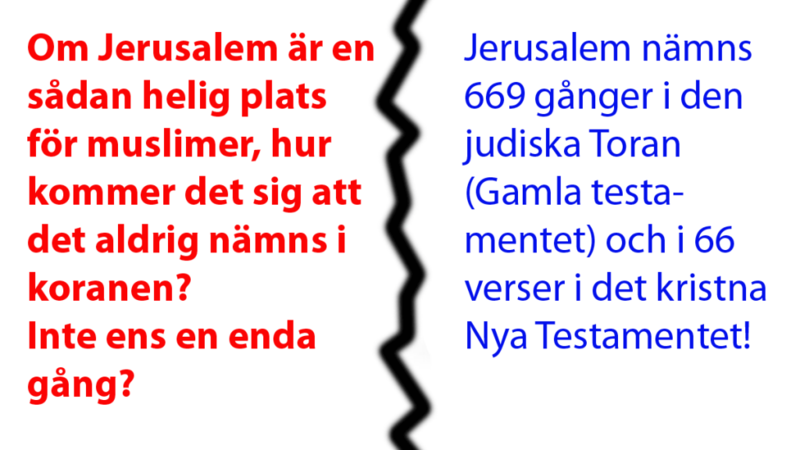 October 2016 - Hur överlever Gud 2000-talet? Now the world has evidence of what kind of people and attitudes are governing the Muslim dominant players within the UN body UNESCO. In a startling second resolution UNESCO voted on Wednesday for an amendment that deprives not only Jews but also Christians the right to Jerusalem’s holiest site – the Temple Mount – where Judaism’s first temple stood 1000 years before Islam was born and where Jesus preached in the Second Temple, which was destroyed by Romans 70 AD, 600 years before Islam was created by the prophet Muhammed. The world must now vigorously combat the subversive Muslim forces who deny the historical, archaeological and religious undeniable truths. The Temple Mount belongs to the founder of Monotheism – The Israelites. 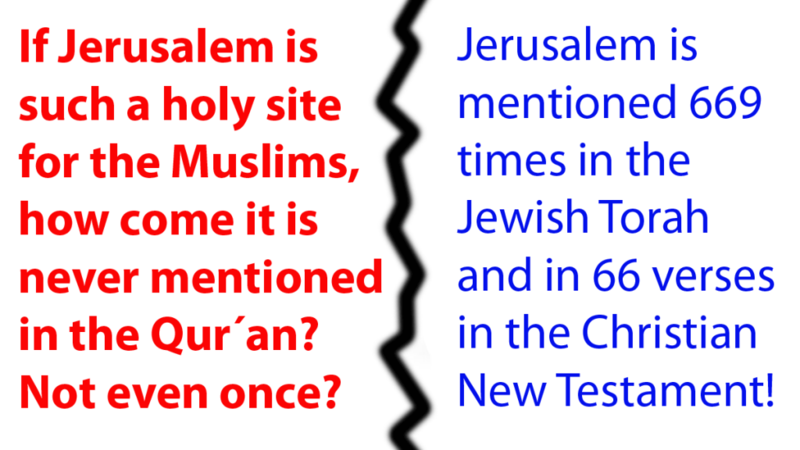 Islam’s holy book the Qur´an does not even mention Jerusalem, which in contrast the Jewish holy book Torah does 669 times, and Jerusalem is mentioned in 66 verses in the New Testament. According to diplomatic sources, the resolution was supported by Lebanon, Cuba, Kuwait, Tunisia, Turkey, Azerbaijan, Kazakhstan, Indonesia, Vietnam and Angola. Abstained did Poland, Portugal, Croatia, Finland, South Korea, Burkina Faso, Peru and Zimbabwe. Only Tanzania and the Philippines voted against. Sweden attended the first vote but ABSTAINED!!! from voting against the resolution. Is it a world of history deniers, we have to expect from the ministers of the present Socialdemocratic coalition government? 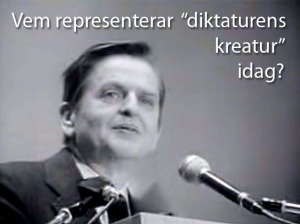 The government has violated constitutionally protected democratic rights by not requiring the Swedish UNESCO delegation consisting of Annika Markovic, Ulrika Ferenius, Malin Nilsson Doria, Frida Gustafsson and Per Magnusson to forcefully act against UNESCO´s falsity (which UNESCO s own President Irina Bokova strongly did). It must be some damn order! 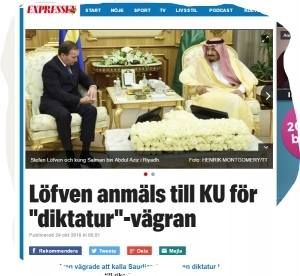 It has gone too far with fawning forces of undemocratic regimes and its collaborators in Sweden. Demand new election! Vote for a government and parliament that protects Sweden’s democratic and humanistic society and core values.